You don’t need to be pro, but having at least some equipment, skills, and excitement for this type of work would be helpful. whether or not you are doing an internship as part of your schooling. If you are interning for school, please include the name and contact information for the person at your school or university overseeing your internship. 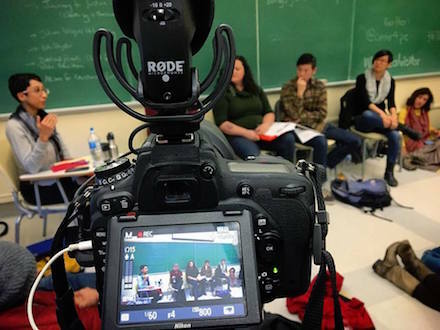 In your own words, what is political education? What experiences, if any, have you had with political education? What is your interested in being part of a political education institution? Why do you think political education is important for political organizations on the left, progressive social movements, the working class and people of color? What skills do you feel you have to share with CPE? What skills would you like to develop by interning with CPE? Email complete applications to center@politicaleducation.org. Please put “Media Internship” in the subject of your email. There are no deadlines. Applications will be accepted on an ongoing basis. We are not able to offer paid internships at this point.